Coke is the most valuable brand in history, and “Coca-Cola” is the world's second-most recognized word after “hello.” However, the beverage itself is an absolute poison to the human metabolism. Coke is very close to the acidity level of battery acid and consequently it can clean surfaces equivalent to and often better than many toxic household cleaners. It's cheaper and easier to buy Coke in some third world countries than it is to access clean water. Coke uses “public relations propaganda” to convince consumers and entire nations that it is an “environmental company” when really it is linked to pollution, water shortages, and disease. People who consume soft drinks such as Coke have a 48% increase in heart attack and stroke risk, compared to people who did not drink the sodas at all or did not drink them every day. A study published in the journal Respirologyreveals that soft drink consumption is also associated with lung and breathing disorders including asthma and chronic obstructive pulmonary disease (COPD). But, the story doesn't end there. 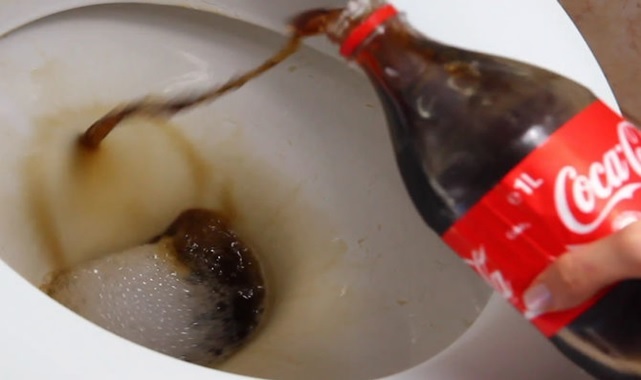 Another problem with most Coke is it also contain phosphoric acid (not the same as the carbonation, which is carbon dioxide mixed with the water). Phosphoric acid also causes a draw-down on the body's store of calcium. Mechanical damage to cells is a huge risk factor for cancer. It's why asbestos particles, for example, cause lung cancer. tomach acid dissolves tissue — that's its purpose. The stomach lining does not extend into the esophagus, so the lower esophagus gets damaged by acid far more frequently in soft drink users than in non soft drink users. This results in a radical increase in cell mutations, along with a far higher level of free radicals. Now can you imagine what it does to your stomach lining? E952– Sodium Cyclamate is a sugar substitute. Cyclamate is a synthetic chemical, has a sweet taste, which is 200 times sweeter than sugar, and is used as an artificial sweetener. In 1969 it was banned by FDA, since it, as well as saccharin and aspartame, caused cancer in rats. E950– Acesulfame Potassium. 200 times sweeter than sugar, containing methyl-ether. It aggravates the operation of the cardiovascular system. Likewise, it contains asparaginic acid which can also cause an excitant effect on our nervous system and in time it can lead to addiction. Acesulfame is badly dissolved and is not recommended for use by children and pregnant women. E951– Aspartame. A sugar substitute for diabetics and is chemically unstable at elevated temperatures it breaks down into methanol and phenylalanine. Methanol is very dangerous as only 5-10ml can cause destruction of the optic nerve and irreversible blindness. In warm soft drinks, aspartame transforms into formaldehyde which is a very strong carcinogen. Symptoms of aspartame poisoning include: unconsciousness, headaches, fatigue, dizziness, nausea, palpitation, weight gain, irritability, anxiety, memory loss, blurry vision, fainting, joint pains, depression, infertility, hearing loss and more. Aspartame can also provoke the following diseases: brain tumors, MS (Multiple Sclerosis), epilepsy, Graves’ disease, chronic fatigue, Alzheimer’s, diabetes, mental deficiency and tuberculosis. Later, this substance was initially illegal due to its dangers but was again made legal in a suspicious manner. E338– Orthophosphoric Acid. This can cause irritation of the skin and eyes. It is used for production of phosphoric acid salts of ammonia, sodium, calcium, aluminum and also in organic synthesis for the production of charcoal and film tapes. It is also used in the production of refractory materials, ceramics, glass, fertilizers, synthetic detergents, medicine, metalworking, as well as in the textile and oil industries. It is known that orthophosphoric acid interferes with the absorption of calcium and iron into the body which can cause weakening of bones and osteoporosis. Other side effects are thirst and skin rashes. E330– Citric Acid. It is widely used in pharmaceutical and food industries. Salts of citric acid (citrates) are used in the food industry as acids, preservatives, stabilizers, and in the medical fields – for preserving blood. E211– Sodium Benzoate. It is used in production of some food products for anti-bacterial and anti-fungal purposes. It is often found in jams, fruit juices and fruit yogurts. It's not recommended for use by asthmatics and people who are sensitive to aspirin. A study conducted by Peter Piper at the Sheffield University in Britain, found that this compound causes significant damage to DNA. According to Peter, sodium benzoate which is an active component in preservatives, doesn't destroy DNA, but deactivates it. This can lead to cirrhosis and degenerative diseases like Parkinson's disease. Credits: Collective Evolution, Get Holistic Health, Why Don't You Try This?